Planning and Scanning is a weekly online service to help you with your research and technical analysis. Using his proprietary indicators, scans and other trading tools, John compiles his Weekly thoughts and Observations for the week and shares them with our subscribers onSunday evening prior to “Opening Bell” on Monday morning. 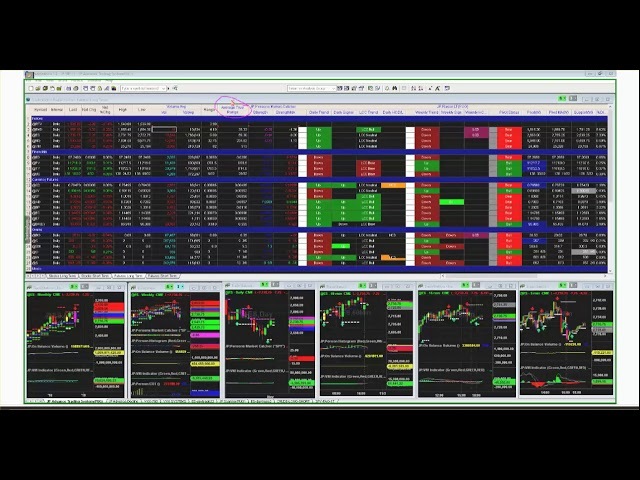 John has developed a proven 5-step program to progress you from a beginner to a top trader. His objective is to give you the skills and confidence you need to perform at the highest levels without his direction. The process, however, takes time, attention and devotion to our program. But he knows his system works because it’s helped thousands succeed. If you’ve missed trades or didn’t see the signal, and didn’t exit the trade fast enough then this is the seminar for you. Having the ability to act based on predetermined, trust worthy signals, is what makes the difference between a good day versus a disastrous day. With decreased market volatility as the latest “new norm”, we teach you the techniques you need now. Thank you, Mary for all of your help and support last week during the mentoring. Testimonial sent: The personal mentoring with John Person is by far the best trading training I have experienced in 20 years! John adapted the training to suit my personal requests, and he more than fulfilled my expectations. From learning about his proprietary indicators (and receiving a couple of new ones), to assessing the market condition, to receiving very clear high probability set-ups, to selecting instruments, to managing trades, John covered it all. Before attending, I had participated in his trade room and studied his courses and books. But it wasn’t until this mentoring that the light bulbs went on. He showed me the independent back-testing of his material, and how accurate, reliable, and robust it is time after time after time. Mary and John’s thoughtfulness, warmth, and support were truly wonderful - topped only by Cassie the dog who runs the show. It was fun, intense, and mind altering - a very good thing! If you haven’t received private mentoring from John Person, do it! Profits are waiting for you; what are you waiting for? Thank you, Mary for all of your help and support last week during the mentoring. Testimonial sent: The personal mentoring with John Person is by far the best trading training I have experienced in 20 years! John adapted the training to suit my personal requests, and he more than fulfilled my expectations. 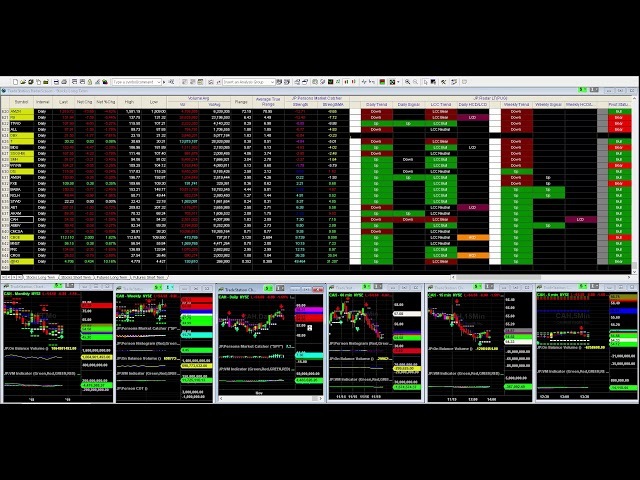 From learning about his proprietary indicators (and receiving a couple of new ones), to assessing the market condition, to receiving very clear high probability set-ups, to selecting instruments, to managing trades, John covered it all. Before attending, I had participated in his trade room and studied his courses and books. But it wasn’t until this mentoring that the light bulbs went on. He showed me the independent back-testing of his material, and how accurate, reliable, and robust it is time after time after time. Mary and John’s thoughtfulness, warmth, and support were truly wonderful - topped only by Cassie the dog who runs the show. It was fun, intense, and mind altering - a very good thing! If you haven’t received private mentoring from John Person, do it! Profits are waiting for you; what are you waiting for? I always knew that the Person PPS and Doji signals were powerful but adding the Algo Optimizer makes the package awesome. A lot of traders lack confidence and creating your own systems with the clarification of statistical analysis is the ideal solution for this problem. Keep doing what you're doing, all the best. happy easter to the Person family. Thanks for all the training I have gotten from you over the years, even the one on one was excellent! Dear John and Mary, ...Personally, I started trading full time about a year ago. Up until that point, my own market involvement was limited to longer term holdings because I had been told by the ...... that trading was a sucker’s game…and I believed them. However, as time went on, I became so infatuated with the markets, active trading was an inevitable occurrence in my own life. First I started swing trading stocks…then day trading stocks…then day trading index futures, swing trading options and the list goes on and on. I read everything that I could get my hands on (I have a collection of about 25 books), researching until all hours of the morning, and hoping that it would all come together. But it did not. I kept losing money; A LOT of money. After only seven months, I started looking at law schools because at that point in time, the ......... were right. But then, I stumbled across John on YouTube. I came to the site and became very interested with the services that John provides. I kept eyeing his TTU course while looking for any feedback on it. There was none to be found. I took a leap of faith and decided that I would give this trading thing one more try, but with some help this time. Fast forward four months later; the success that I have had has been nothing less than remarkable. I have come further and faster (mind you) than I ever thought was possible. I have almost fully recovered all prior capital losses, been consistently profitable over the last ten weeks, and perhaps most importantly, absolutely love trading again. In closing, if you are considering taking a course from John, I strongly encourage you to do so. I am not going to lie and say that John is perfect (he is pretty close though), or I only trade his methods…but what I will say is that John personally gave me a strong foundation in which to build my own methods on. If you are lost as a trader, John will be able to help you. But…in full disclosure, it will not be easy. You will need to put in the long nights and early mornings learning, researching, analyzing, perfecting, and back testing. Because, even though John throws out great trades in the trading room or twitter, isn’t the idea to be able to find them yourself? Again, thank you John & Mary! I owe all my success to the two of you. Hello Mary, I have been following John Person since early 2010. Over the years, I have studied many market professionals, but have found none to be of the same caliber as John. John is a consummate professional who is happy to share his knowledge with those willing to put forward the effort to learn trading through his teachings. Some of the key things I have learned from John is patience, and a method of trading that works for my style of trading. John’s teaching is so broad, that it allows one to find a style of trading that works best for each individual which is imperative to trade successfully. For so many years I had looked for an individual I could follow, and instigate trades just as he, or she did without a lot of thought on my part. John has taught me that this is not only an act of folly, but can lead to questioning what one is doing, and at best stop trading, or at worse, blow up an account. The second, and equally important aspect I have learned from John is patience. I no longer feel compelled to trade all the time. I have learned to watch the market and wait for a key set up with maximum potential, and minimal risk. I no longer take impulse trades. I am confident to wait, and then to act when the conditions are right. Hi Mary and John, what an absolutely superb time we had on the cruise. It was everything we had hoped it would be for us and more. Dear John and Mary, Thank you for putting together a first class cruise. We throughly enjoyed everything. The review of your system with emphasis on how to be more effective has been great for us.. The mentoring at sea was planned and executed extremely well. The schedule was adhered to and also allowed plenty of relaxation and family time. We were presented with many trading ideas and bonus material to help make us successful traders. John and Mary made the cruise even more exciting by offering additional fun things to do and experience. It was a first class cruise! John Tks for your mentoring Class in N. Palm Beach. I followed you slass on option and was able to B a 235 Jun Apple call last Friday. It Gapped up this AM with almost $500.00 profit on I contract Ed L.
You can day trade the way you are running the room. I have had the best qtr of trading this year. Don R.
...And as a new person using TOS (6 years with TS) I am so looking forward to your seasonality program that will be coming on the TOS platform. I remember seeing you at Trader's Library Show a few years ago and was looking forward to seeing you again with a few more years of experience behind me. I was NOT disappointed. You were, without a doubt, the uppermost "best of show". presenters. ...I'm still benefitting from your Trading Triggers course, and 3 of your books in which one book, I was fortunate enough to have autographed while you were in Toronto last year in October. After the many years learning and studying, I believe until one can find a truly successful mentor, and tweak his/her way within a system which works for them, plus learn the "rules of the road" and develop a trading style which is suitable, one will not be able to attain and sustain constant success, meaning, we'll always have losing trades, but in the long run we'll become consistently net profitable. As a former musician for 15 years ( a steadily employed one...lol) I've found learning this skill to be much the same, as one has to practice and develop their craft, and it doesn't happen overnight. Only with years of training and dedication and passion are we able to enjoy true success...with a bit of luck. Thank you John, and of course Mary for all the work Mary does behind the scenes, and for generously sharing your expertise with me over the years. ...I'm still benefitting from your Trading Triggers course, and 3 of your books in which one book, I was fortunate enough to have autographed while you were in Toronto last year in October. To date, my favourite John Person tactics are, the high and low close doji, the Benchmark candle, and congruency of either pivots, Fibonacci and Ma's. Plus, calculating and plotting (a 10-12 hour task each month) the MONTHLY pivots for 45 indices and stock which I follow have paid off month after month, and for roughly a year and a half now, I've been net profitable, and though it's taken me just over 6 years, I know and realize without your insight and guidance, I'd still be struggling....and losing money...lol After the many years learning and studying, I believe until one can find a truly successful mentor, and tweak his/her way within a system which works for them, plus learn the "rules of the road" and develop a trading style which is suitable, one will not be able to attain and sustain constant success, meaning, we'll always have losing trades, but in the long run we'll become consistently net profitable. As a former musician for 15 years ( a steadily employed one...lol) I've found learning this skill to be much the same, as one has to practice and develop their craft, and it doesn't happen overnight. Only with years of training and dedication and passion are we able to enjoy true success...with a bit of luck. Thank you John, and of course Mary for all the work Mary does behind the scenes, and for generously sharing your expertise with me over the years. Hello John, I had the pleasure in meeting you in Toronto back in October of 2012, you signed my book even with your hand inoperable. I hope you have healed well. I would like to thank you once again as your monthly pivots strategy has worked time in, and time out for me. I have now had 11 successive profitable trades, thanks to all of your strategies but the monthly pivot, almost works like clockwork. Thank you for your Trading Triggers course and your books, and endless seminars. You are the best instructor I've encountered, and please believe there have been many over the years. After 7 years in actual trading, I've have been net profitable for just over 6 months now. I truly feel that I'm starting to get the hang of it ,and until one finds his or her own "personal groove" accompanied by excellent information, technique and strategies such as yours, one can only hope. I've now found what best works for me, my own personal groove. Thank you! Hello John, I had the pleasure in meeting you in Toronto back in October of 2012, you signed my book even with your hand inoperable. I hope you have healed well. I would like to thank you once again as your monthly pivots strategy has worked time in, and time out for me. I have now had 11 successive profitable trades, thanks to all of your strategies but the monthly pivot, almost works like clockwork. Thank you for your Trading Triggers course and your books, and endless seminars. You are the best instructor I've encountered, and please believe there have been many over the years. After 7 years in actual trading, I've have been net profitable for just over 6 months now. I truly feel that I'm starting to get the hang of it ,and until one finds his or her own "personal groove" accompanied by excellent information, technique and strategies such as yours, one can only hope. I've now found what best works for me, my own personal groove. Thank you! Hi John, I want to thank you for the time you take when you provide terrific information like the Sector line chart you showed me this morning. I have reconstructed that chart and have included the GLD ETF also. It will be very useful in the future looking at which sectors are about to breakout and which one to stay away from. I continue to learn from you. This is the reason I started with TTU and is also why I have continued with the program. Thanks again...John P.
Hi John, I want to thank you for the time you take when you provide terrific information like the Sector line chart you showed me this morning. I have reconstructed that chart and have included the GLD ETF also. It will be very useful in the future looking at which sectors are about to breakout and which one to stay away from. I continue to learn from you. This is the reason I started with TTU and is also why I have continued with the program. Thanks again...John P.
That was a really good presentation. I have been playing with all the new indicators all morning. Now to trade with them....Thanks! I would like to add that John Person's lucid analysis of the markets is on par with Larry W. on market forecasting. Way to go! And keep sending invitations. Hi Mary, I also really appreciate John's analysis. I am interested in his futures newsletter. Just finished watching John's presentation ( yes, too many Seinfeld reruns ) and as I sat there I found myself going from half watching/listening intermixed with a little channel surfing to singular focus. I don't think I've ever said to myself "I'll be damned" as much I just did in that presentation. That was an eye opener. Please put me on the list for the next webinar. Just finished watching John's presentation ( yes, too many Seinfeld reruns ) and as I sat there I found myself going from half watching/listening intermixed with a little channel surfing to singular focus. I don't think I've ever said to myself "I'll be damned" as much I just did in that presentation. That was an eye opener. Please put me on the list for the next webinar. John, I’m a TOS client who uses your PPS Indicator with Forex Trading. Over the last 180 trading days using the PPS I have a 74% win rate. I just wanted to thank you for this indicator. John, I’m a TOS client who uses your PPS Indicator with Forex Trading. Over the last 180 trading days using the PPS I have a 74% win rate. I just wanted to thank you for this indicator. Sincerly, Greg J. Thanks for your speedy and courteous response. I stand by my original comments that your organization is first class and I would recommend you to any trader that is interested in learning how to trade consistently and successfully. What I learned from the trading room and working with the tools that John created has made a very positive change in my trading results. Hello John, I am a subscriber to your Live trading Room hosted by Butch Heading and have been trading the E-min S&P\'s for the last 5 years, 2 years professionally. I attended an introductory lecture at the Wealth Expo in Anaheim back in March. Though I listened to you with caution, I could not wait to get in front of my monitor to put your trading set ups to test. The very next day, I traded the signals, and sure enough they worked. I took that profit and rushed to your booth and paid for your course immediately. John: Este mensaje lo voy a escribir en Español, tengo el curso de Trading Triggers y el de Forex Conquered....a partir de que empecé a estudiar estos cursos mi trading ha evolucionado impresionantemente, ya tengo record ganador. exelentes y sobre todo y lo más importente son constantes. 1.- Identificar quién controla el mercado, si osos o toros. Dear Mr. Person, I've been a retail commodity broker for 10 years now, this absolutely is the best book I've ever read on trading. I am on my third read of this book. 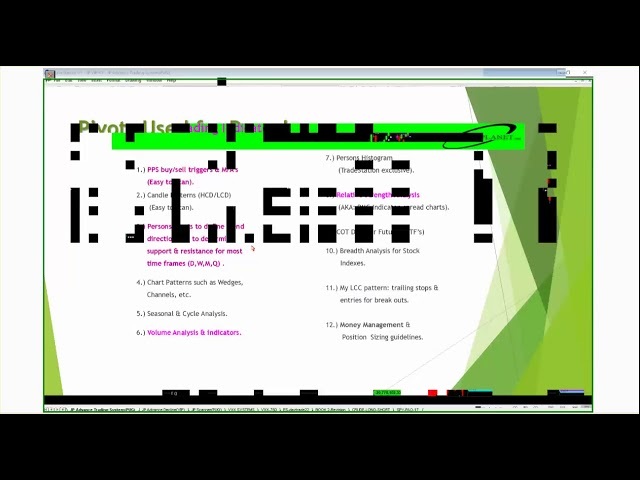 I need to attend your seminar so I can learn more! When is the next one and do you plan to come to Chicago this year? Thanks for everything!!!!!!!!! My name is Kris and I attended the presentation that John gave to the trading group that I was part of last saturday. I would like to say thank you to John for how much he has helped me and my father become better traders. Listening to him and learning about his system has actually helped us understand more of what we are doing. I must have read and studied everything that was put in front of me on the subject of trading. From the Fundamentals to Advanced Technical Analysis, I was always reading something. Even the courses and instructors that I was a part of kept me confused about what I was really doing. His presentation on the subject of trading and listening to his stories about his past in the business (and trading with his son) gave us more confidence and a real world view on everything. He took a world of trading insanity and simplified it. We are trading smarter and better because of him. I cannot thank him enough.If you could pass this on to him it would mean a lot to us. Thank you!